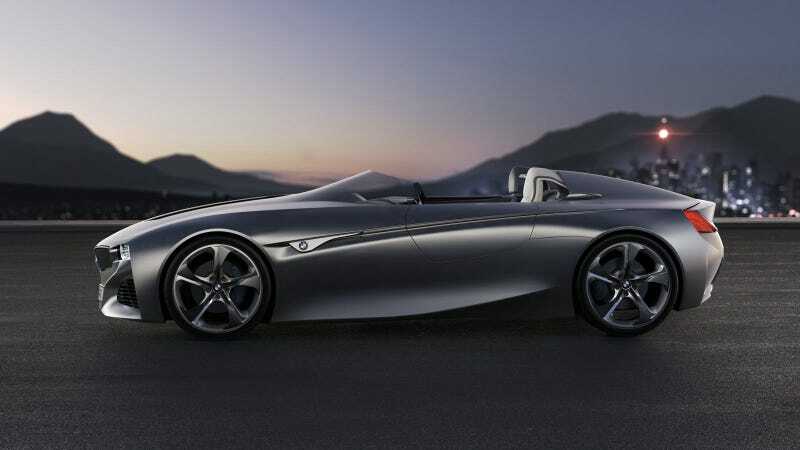 BMW's Vision ConnectedDrive concept looks like a typical stylized roadster, but it's got the digital brain of a chess-mastering supercomputer. That computer can filter out information you don't need and highlight important stuff, like where to get a decent burger. With the car's programmable 3D interface, a fictional driver can arrange information in his field of vision by its relevance — traffic info if you're late for the airport, turn-by-turn directions, or which restaurants serve pâté de foie gras. A strange "emotional browser" can grab info on the neighborhood you're driving through — a kind of digital situational awareness — so you can avoid the streets where the protesters are egging people in fancy roadsters. A passenger can program info into the system too, so she can insist on Thai food. Other than the far-out tech, expect the concept's design to influence the next generation of BMWs. You'll see it in three dimensions at the Geneva motor show.